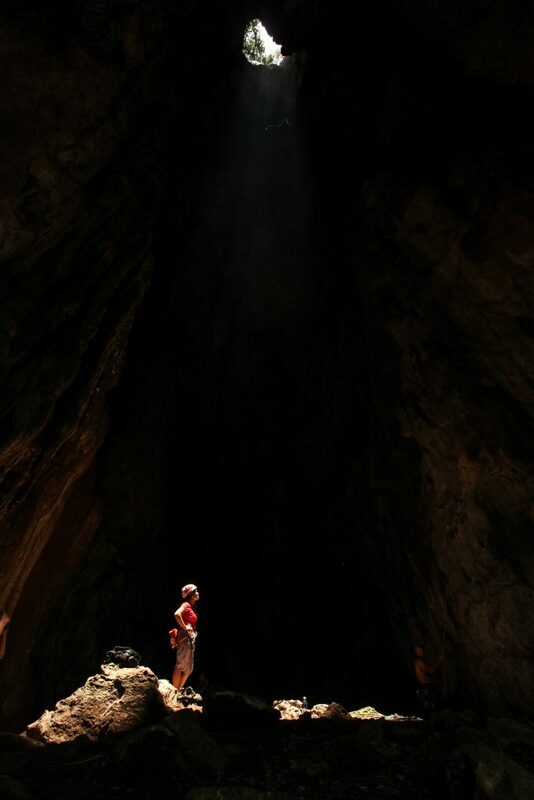 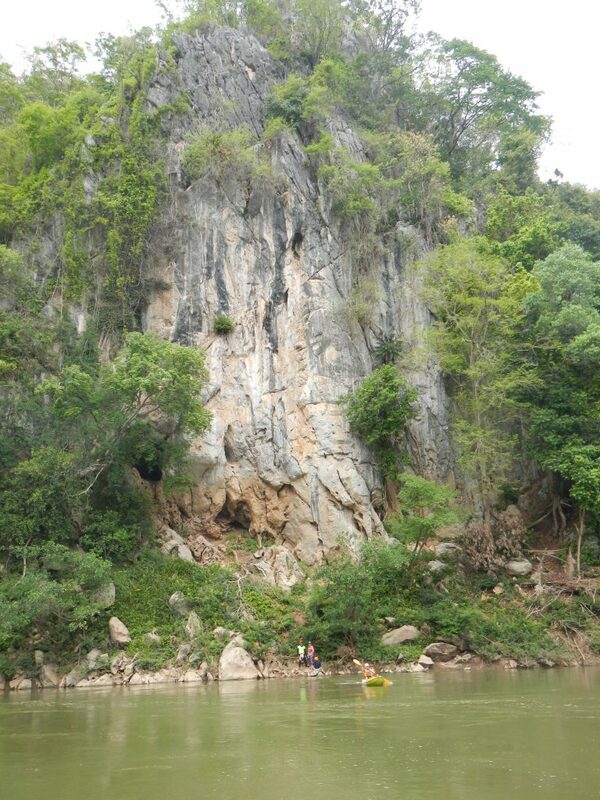 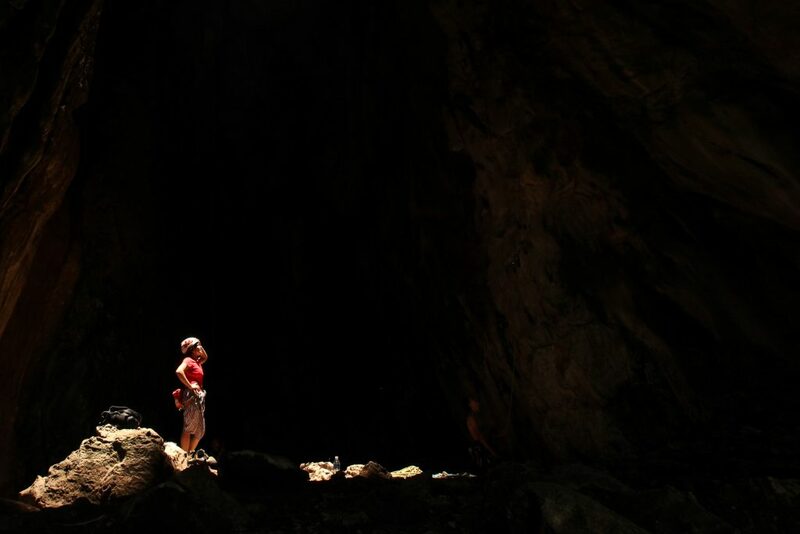 Passing through an imposing limestone massif, the river Pasak, over time, carved numerous cliffs, caves and rocky peaks. 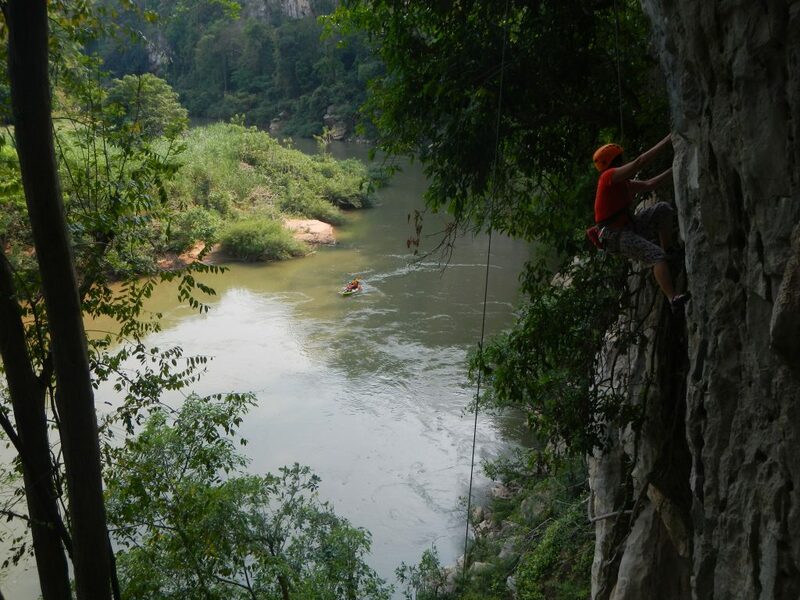 It’s at the heart of this exceptional setting that Nam Pha Pa Yai Camp welcomes you to practice, in the purest style, your favourite outdoor sport. 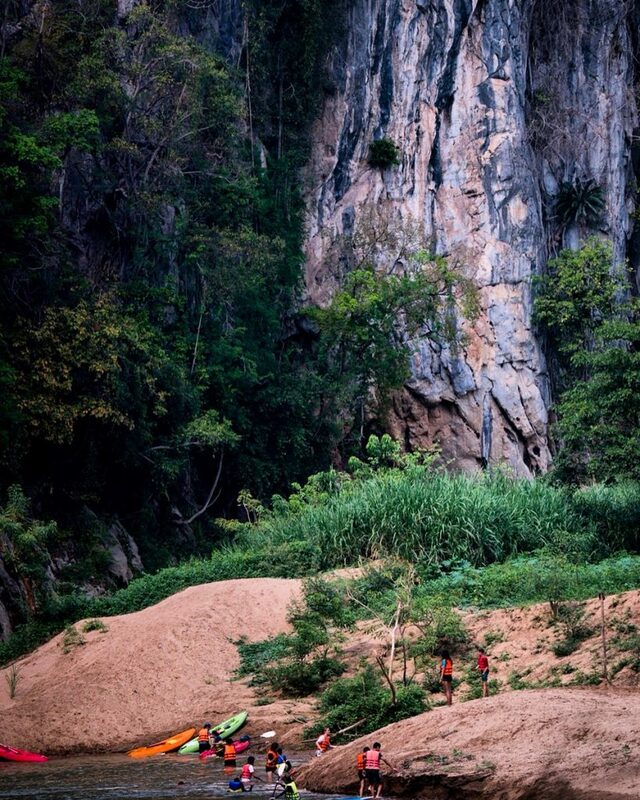 Rent or buy all the essential equipment directly at the Camp. 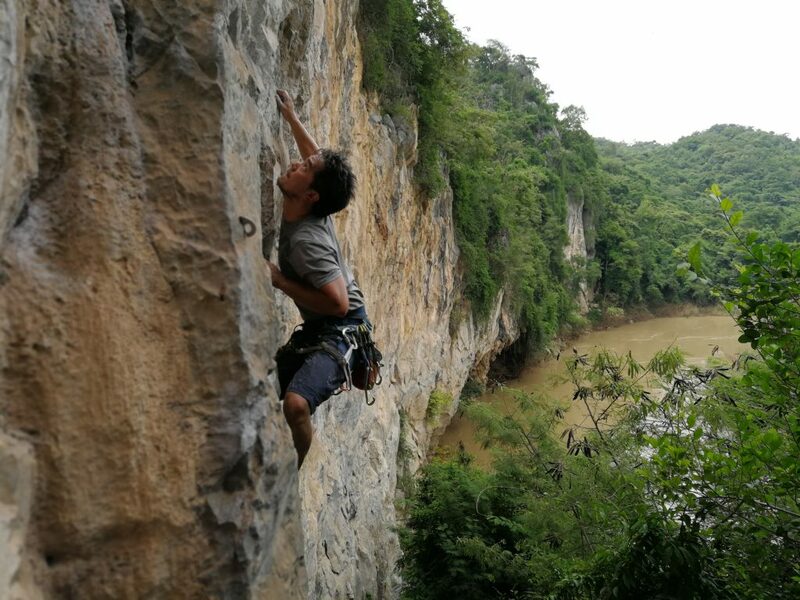 The limestone cliffs in Thailand are famous worldwide for their amazing natural sculptures, forming routes of rare quality. 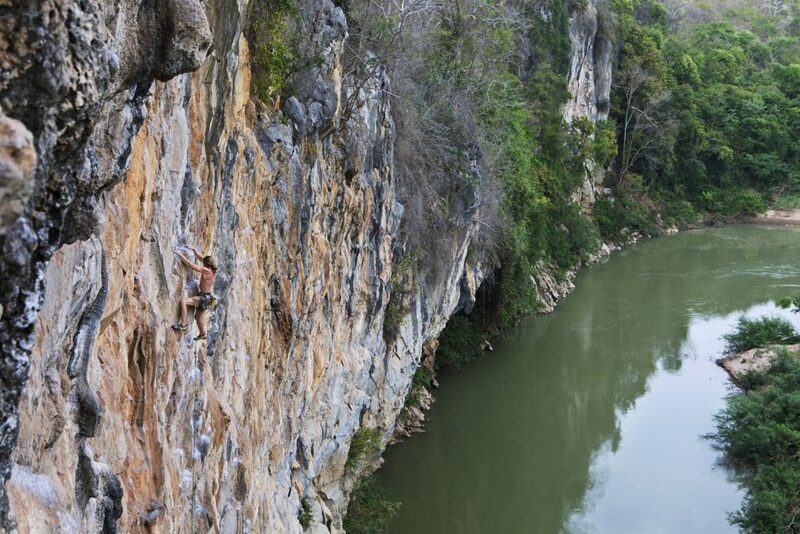 Discovered by and developed for climbers, the site of Nam Pha Pa Yai Camp is no exception to this rule and it’s a paradise for all fans of climbing. 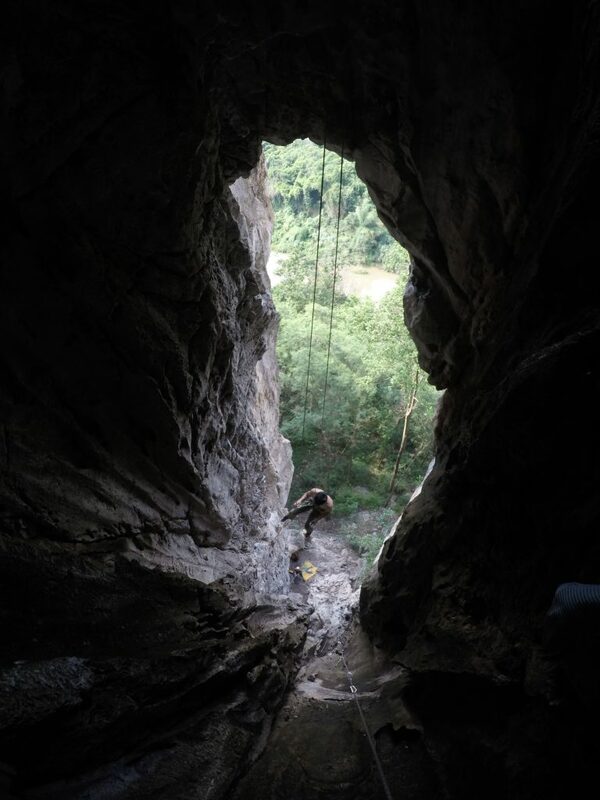 Routes go from very easy to extreme levels, some short, others very long, with a wide variety of shapes and styles (wall, slab, overhang, steep overhang, chimney, crack …), sectors have a minimal walking approach, they are shaded and sheltered from the rain. 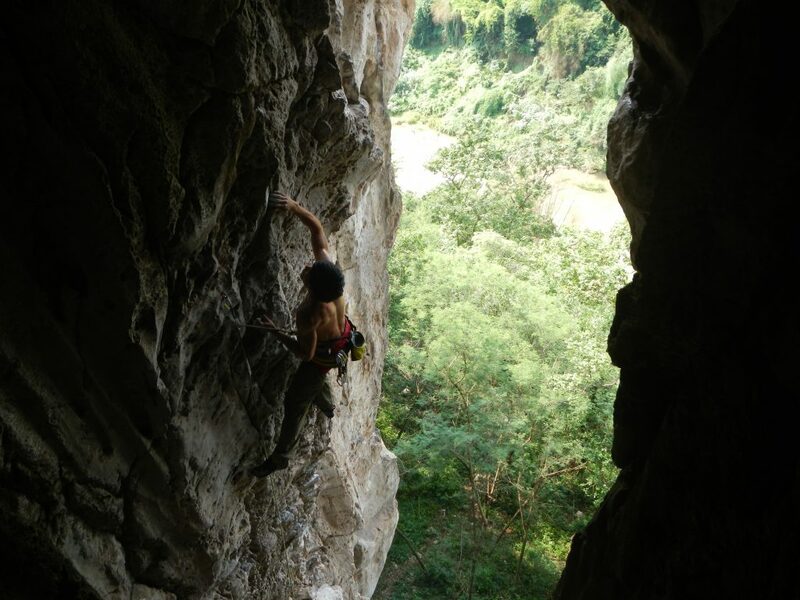 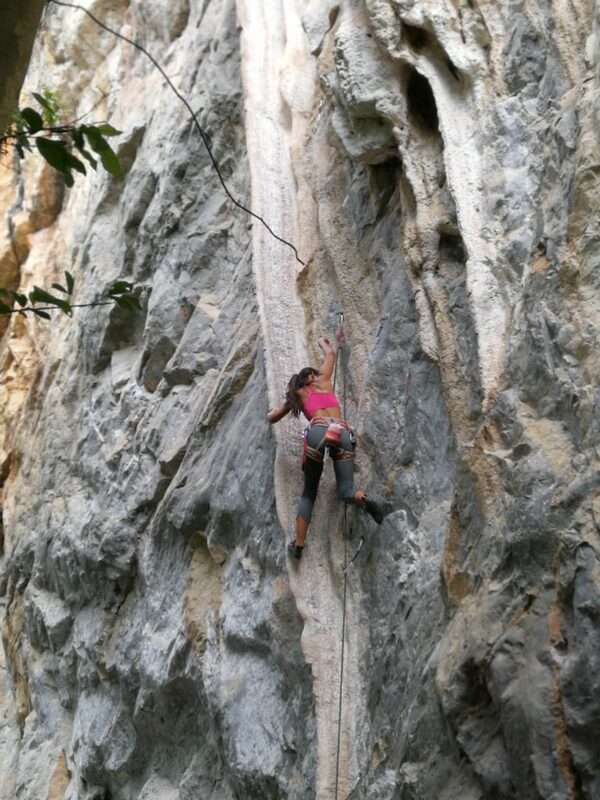 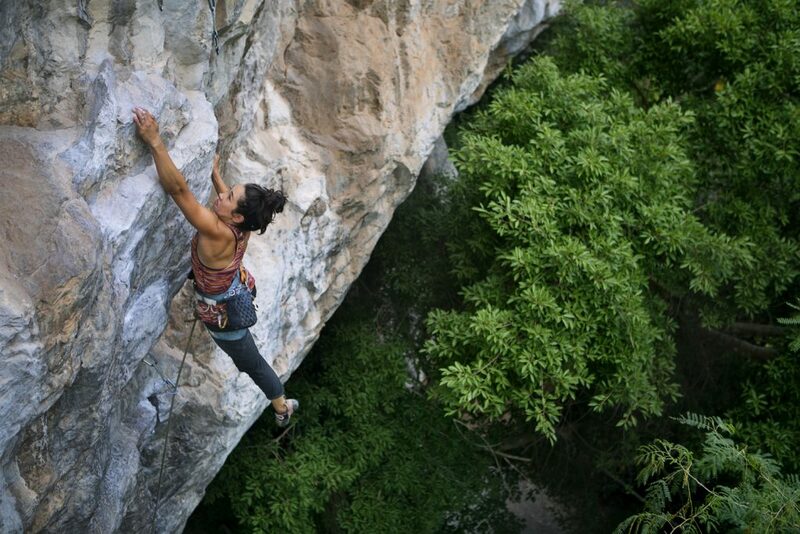 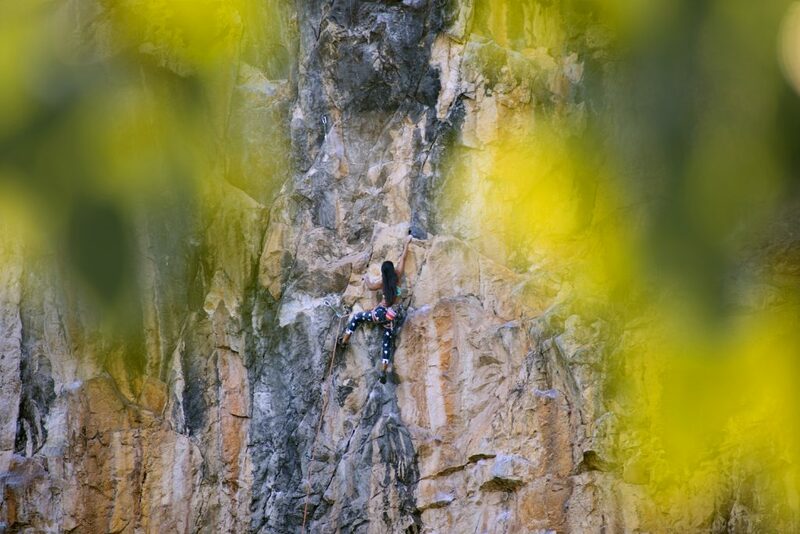 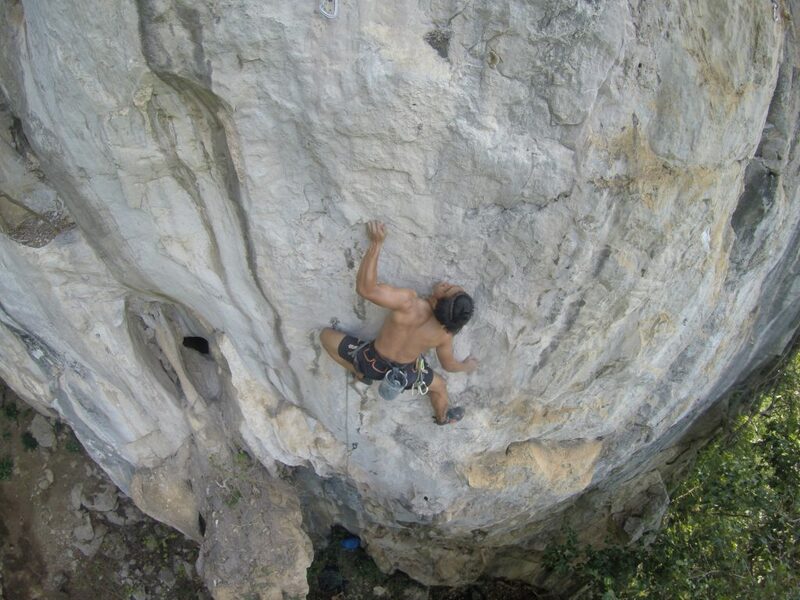 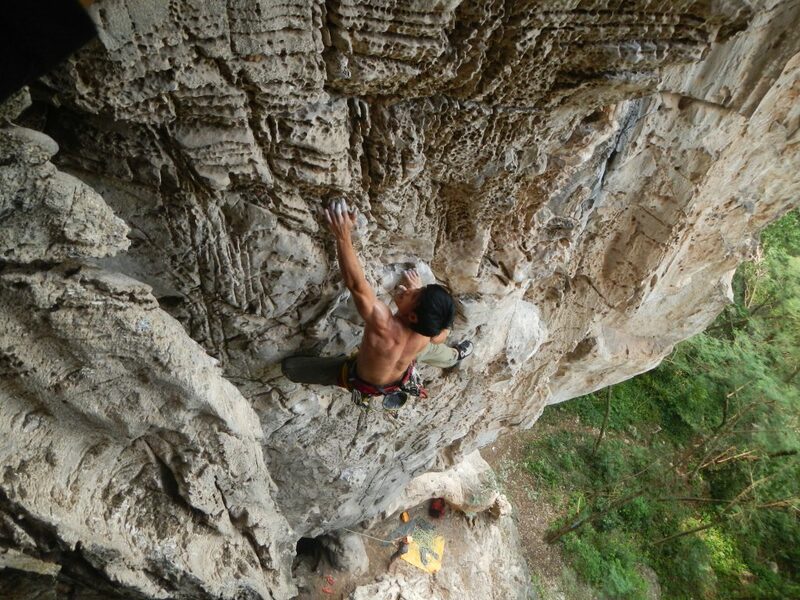 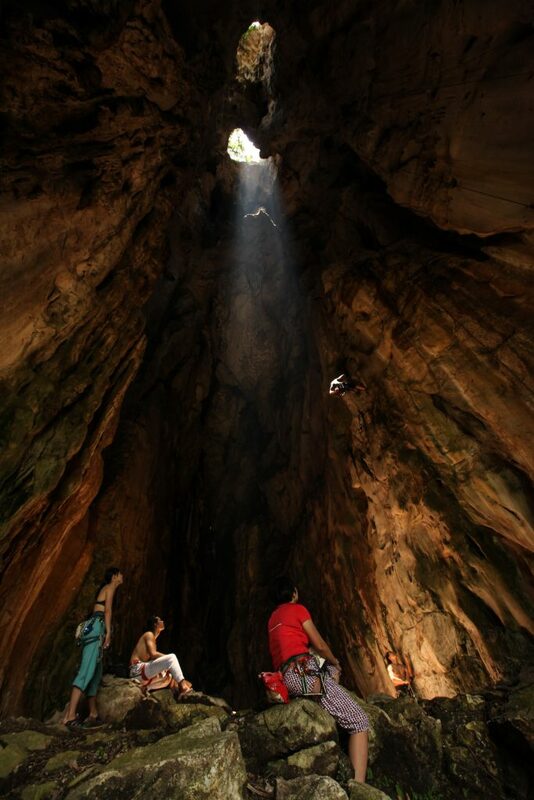 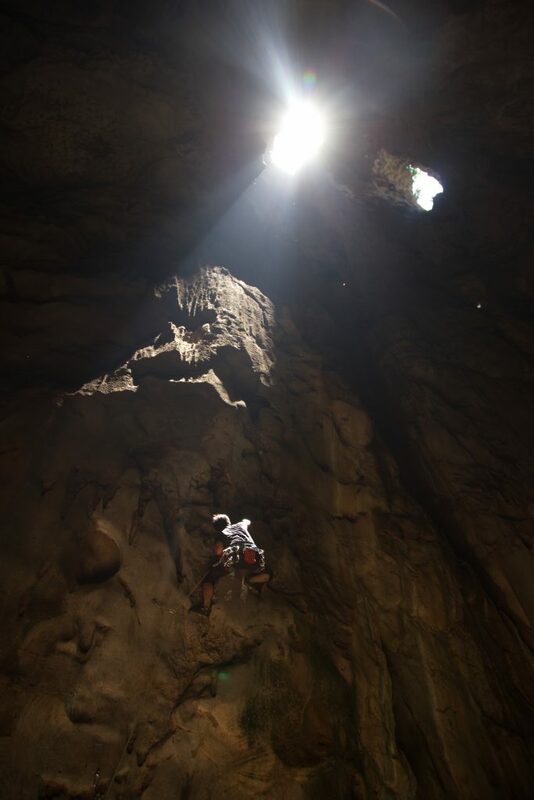 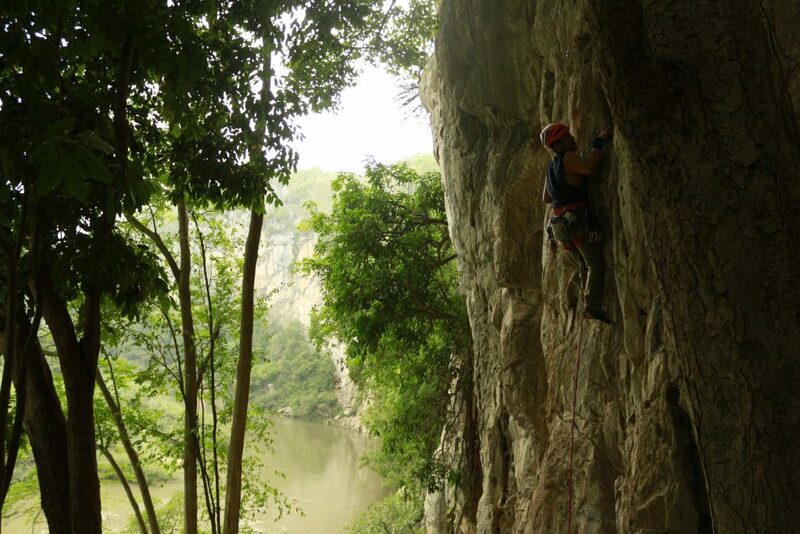 All these advantages being in a beautiful setting makes this place is a major climbing spot in South-East Asia. 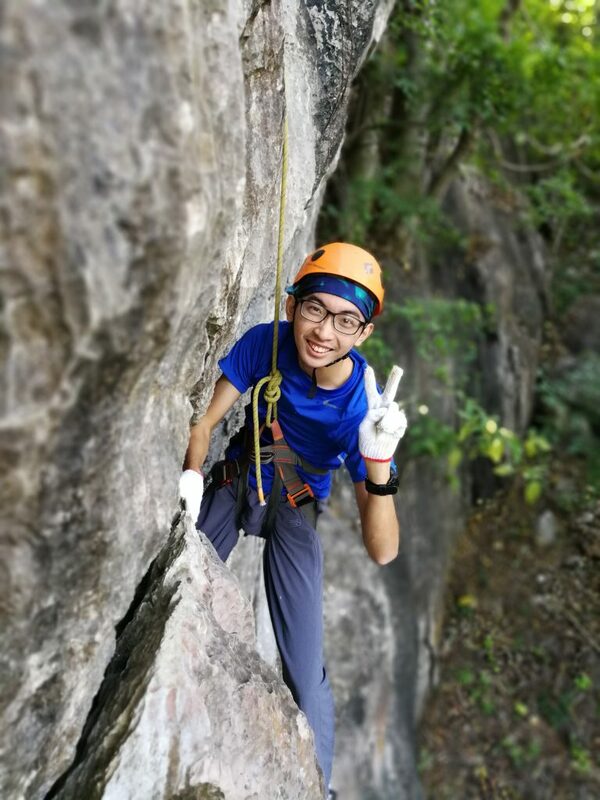 Disclaimer: Climbing is a safe sport if you have had proper lessons or years of experience on lead climbing and belaying. 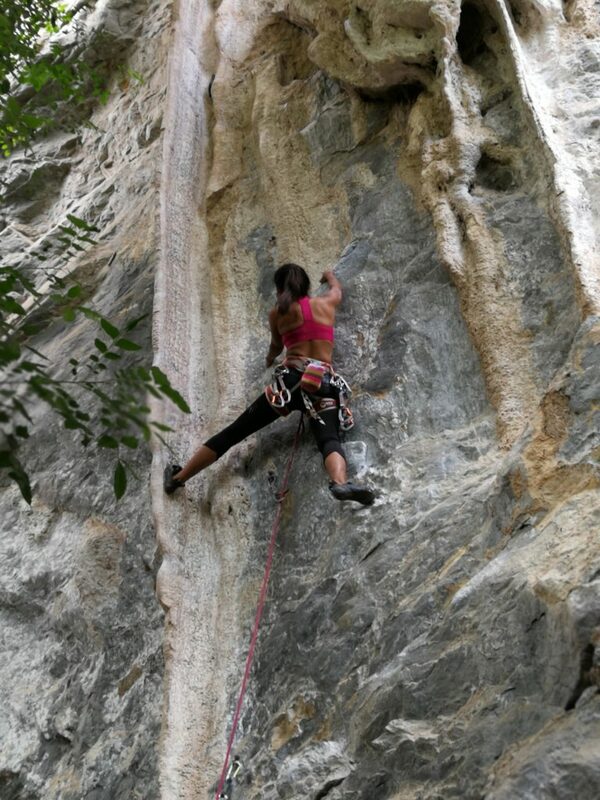 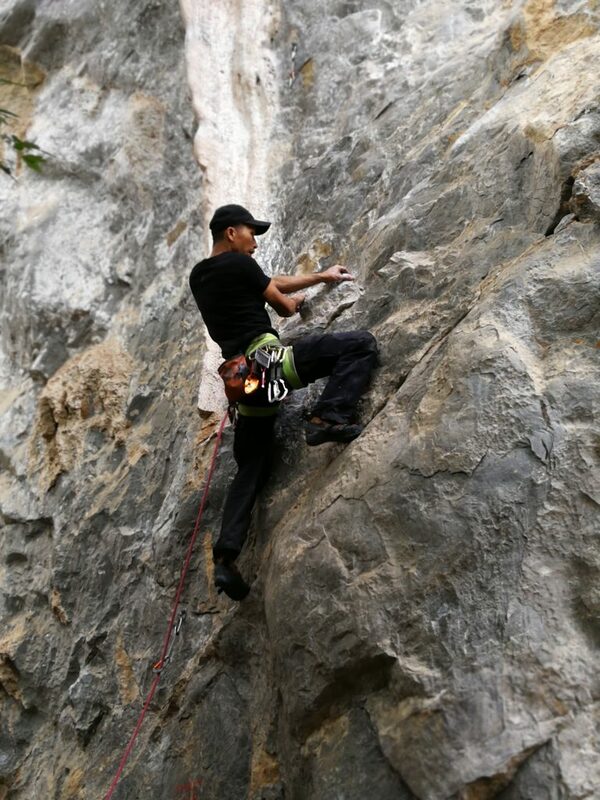 Climbers should be competent in lead climbing, lead belaying, and have necessary skill to safely climb alone. 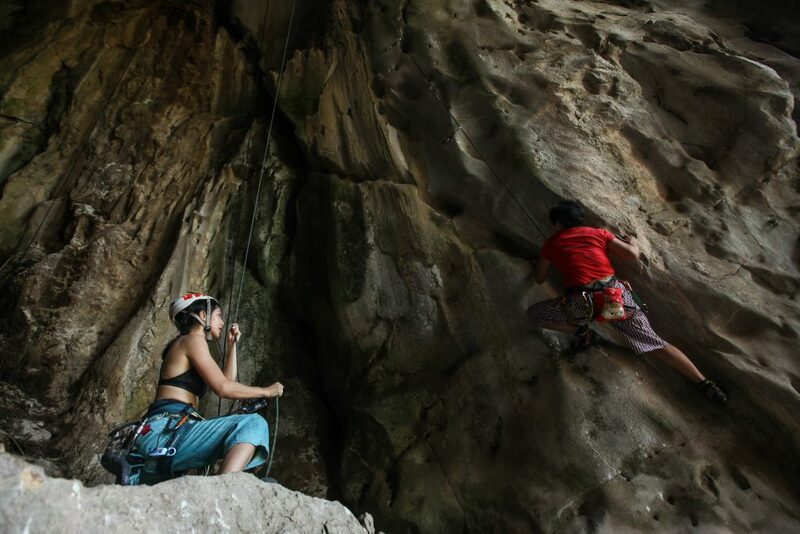 Otherwise, you may contact NPPY Camp for guide services, or come with friends who have more experience than you to set up routes. 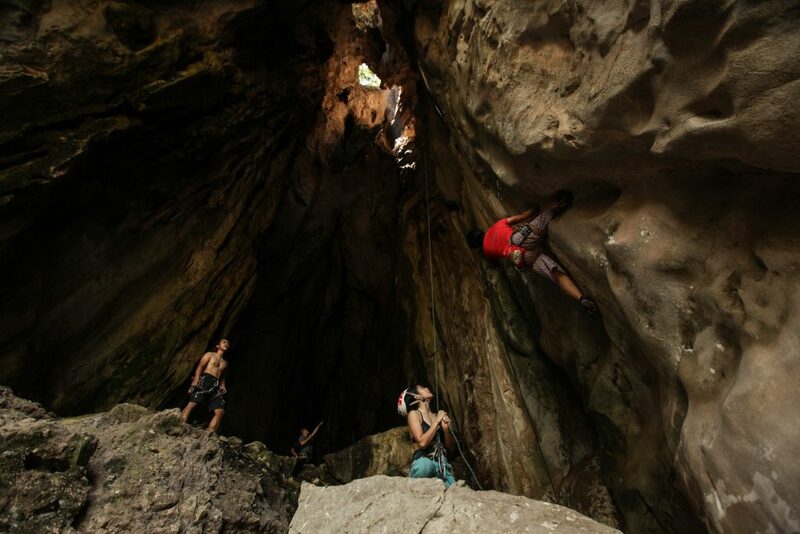 Many other sites, including bouldering sites, are present in the region, and are easily reachable from the camp. 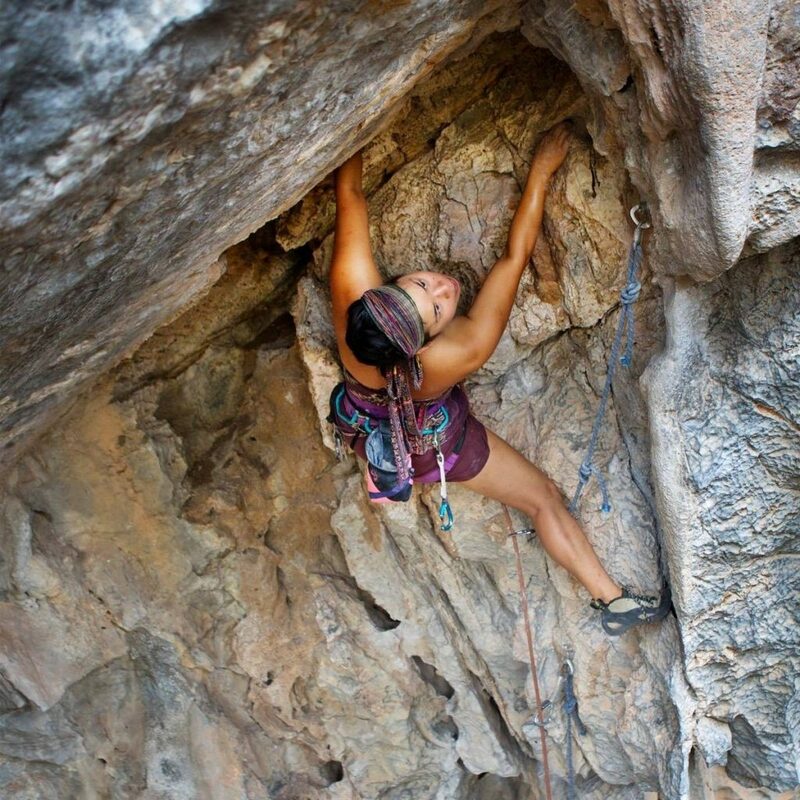 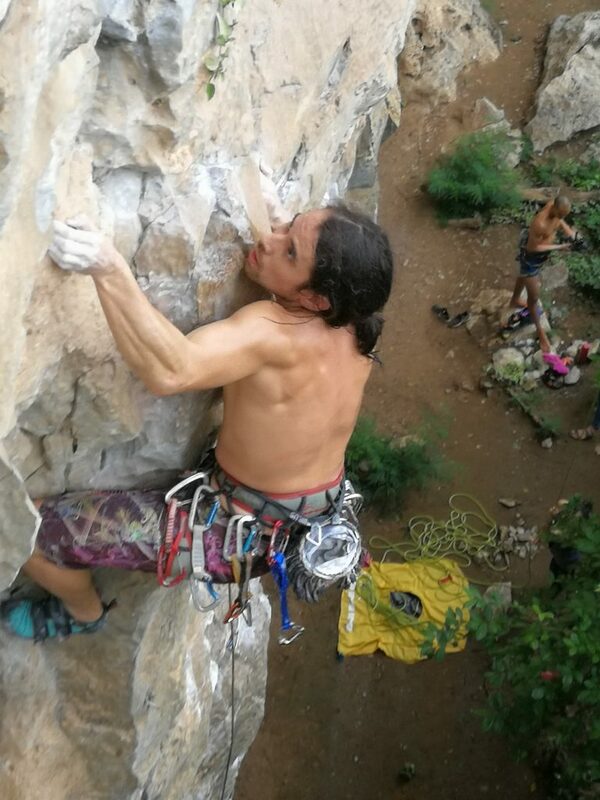 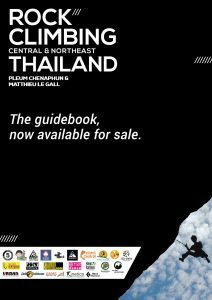 Thailand Mountain Sports Club has published “Rock Climbing in Central and Northeast Thailand” Guidebook that can be purchased at NPPY and various climbing gyms in SE Asia. 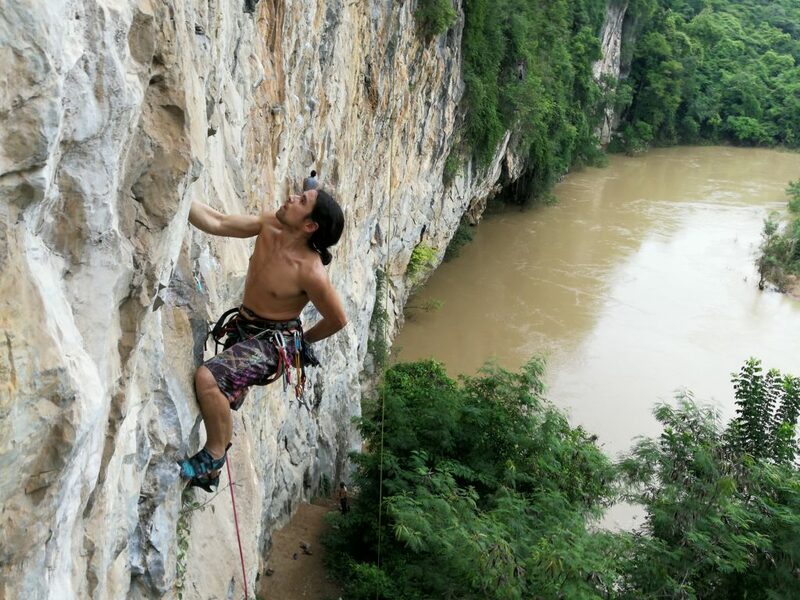 Proceeds go towards bolting and re-bolting in Thailand. 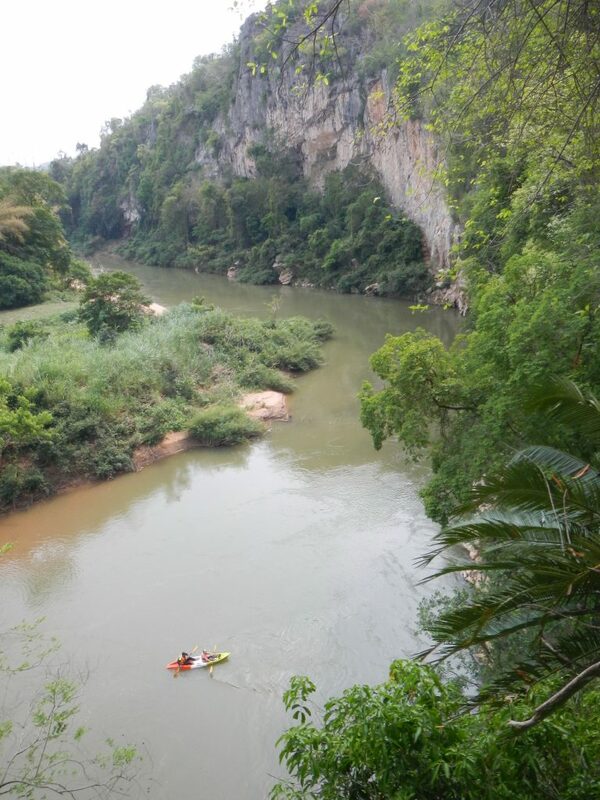 Note: If you are not staying overnight at NPPY Camp, an access fee of 100thb will be charged upon arrival for usage/access via maintained road, toilets, pulley system, and parking.